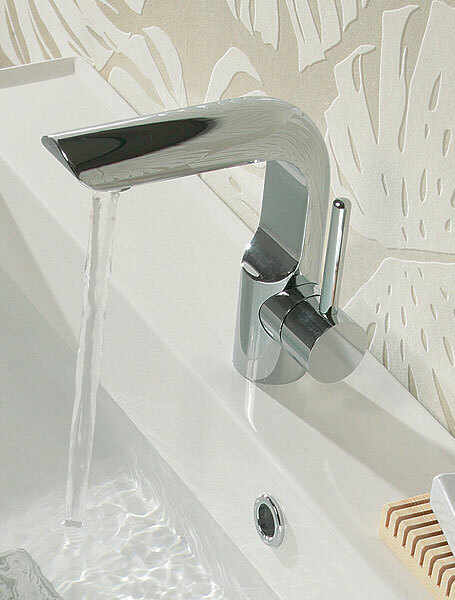 Home » Posts Tagged "pull out"
Newest launch for Crosswater is the Elite bathroom taps, again small as a range but as with the Crosswater way of thinking it is very individual and is designed with the precision you have come to expect from Crosswater. The Elite side lever mono bloc basin mixer feels like it has been moulded into its shape and must be one of the most practical designs I have seen for years cleaning almost with one sweep of a cloth there is no fuss about the shape at all. With the other items in the range of bathroom taps and mixers you get the same clean edge of design although as with some of the latest releases coming out of KBB Birmingham this year there are only five items to choose from adding to the basin mixer is the tall monobloc basin mixer, the monobloc bath filler a monobloc bath shower mixer with pull out hose and handset and a single bath spout which is deck mounted. 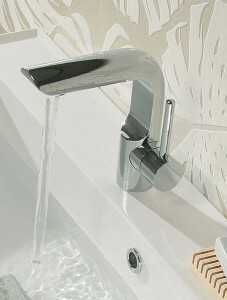 The basin mixer is available from Tapstore.com for a special offer of just £182.99 so if you want to see this and the rest of the range click here.